Multiple Teams · Nov 9 Gibbs to Sign with USI Softball! MVHS would proudly like to announce an upcoming softball signing! Brooklyn Gibbs, senior Pitcher/Infielder, will be “signing” to continue her softball career at the University of Southern Indiana. We invite you to join us on Thursday, November 15 @ 5:30 pm in the Athletic Foyer. All family and friends are invited to attend. Please enter Door #2 at “Circle Drive” in front of MVHS. Gibbs started playing softball at the age of 8 years old and joined a travel team one year later. Says Gibbs,”Growing up, I always played up a age group and was the smallest on my team. Being able to play with the older girls has helped me become the player I am today. I’ve been very fortunate to meet some amazing girls along the way and have made life long friends.” In addition to being a Lady Wildcat, Brooklyn has played for the Southern Indiana Crush, the Louisville Sluggers, the Kentucky Softball Club and Team Kentucky ASA Gold. 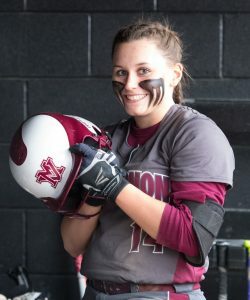 While a member of the MVHS Softball team, she has been named to the Big 8 All-Conference team and the All Southwestern team every year thus far. As a Sophomore, she was 3rd Team All State and moved up to 2nd Team All State as a Junior. She is a co-owner of the single-season home run record and has 111 strikeouts as a pitcher. When asked why she chose USI, Gibbs replied: “I chose USI because they have a great biology program and their class sizes are a reasonable size for me. 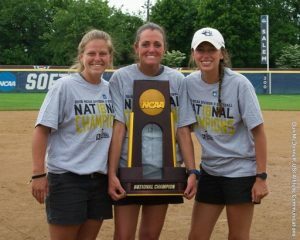 I love the softball program and the coaches. Coach Kunkle was very welcoming along with all the girls on the team. 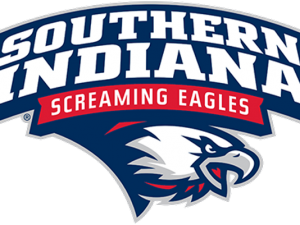 I have many friends that play there and they had nothing but good things to say about the program and that helped me a lot.” She plans to study biology (pre-medicine) while enrolled at USI.